DRM comes with all ebooks sold by the major publishers, with the exception of Macmillian's Tor and Forge imprints, and it means that if a consumer decides to switch to another company's ereading device, he or she would lose access to any already purchased ebooks. DRM used to be a feature of digital music sold on iTunes, until Apple abandoned the practice in 2009. The bookstores making the complaint are the Book House of Stuyvesant Plaza, based in Albany, N.Y., Fiction Addiction in Greenville, S.C., and Posman Books of New York City, though the suit states that these stores are suing on behalf of "all independent brick-and-mortar bookstores who sell e-books." Alyson Decker of Blecher & Collins PC, lead counsel acting for the bookstores, described DRM as "a problem that affects many independent bookstores." She said the complaint is still in the process of being served to Amazon and the publishers and declined to state how it came about or whether other bookstores had been approached to be party to the suit. "We are seeking relief for independent brick-and-mortar bookstores so that they would be able to sell open-source and DRM-free books that could be used on the Kindle or other electronic ereaders," Decker explained to The Huffington Post by telephone. Such a move would lead to a reduction in Amazon's dominant market position, and completely reshape the ebook marketplace. A spokesman for Fiction Addiction declined to comment as legal proceedings are ongoing. The other plaintiffs and Amazon did not respond to a request for comment. Update: A spokesman for Amazon said that they do not comment on active litigation. The case comes against a backdrop of a Department of Justice lawsuit against Apple and five of the Big Six publishers over ebook price-fixing, a move that was widely seen as benefiting Amazon's dominant position among ebook retailers. Four of the publishers in that case have since settled with the Justice Department. Though the independent booksellers' complaint is likely to be popular among many who follow the book industry, the three plaintiffs face a huge battle against such major players. Still, Decker said, "We wouldn't have filed it if we weren't hopeful [of winning]." UPDATE: Cory Doctorow points out that the complainants' use of DRM terms is somewhat confused. 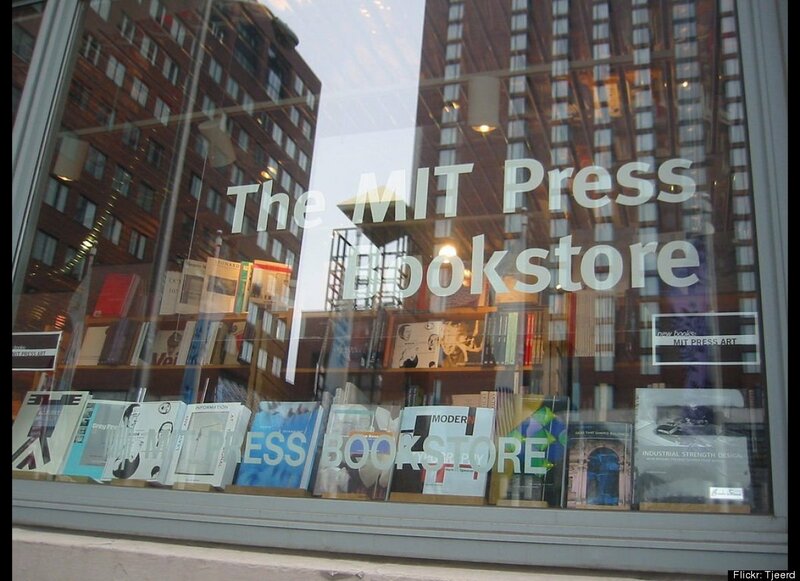 By focusing on a particular theme and not straying from it, the<a href="http://web.mit.edu/bookstore/www/" target="_hplink"> MIT Press Bookstore</a> has a fanatical following. "I spent a few hours here and I was amazed. Literally, every book here is an idea. I found so many interesting books that I had to write down all the titles. They have books published by the MIT Press, but also titles from other academic publishers. Whoever curates the selection is outstanding." -- Yelp review by Terri Y.